Five Alive: The Final Kingdom Is Here! Can you believe it, TombQuesters? The fifth and final book is out now! (And how amazing is that creepy-cool cover?!) This is what it’s all been leading up to. In The Final Kingdom, Alex and Ren must venture into the world of the dead in a desperate attempt to save the world of the living. They are pursued by The Order and their Death Walker allies at every step, leading up to a fierce, final showdown right back where it all started. It’s been quite a ride for me, too. The first book came out a little over a year ago, on January 27, 2015, and immediately hit the New York Times bestseller list. It was one of the highlights of my career (and life! ), but it was just getting started. I visited scores of schools from California to New Hampshire to talk about reading and writing (and mummies and magic). Another highlight: I got to visit the Metropolitan Museum of Art in NYC, where so many key scenes in the series are set, early in the morning before it opened to the public. 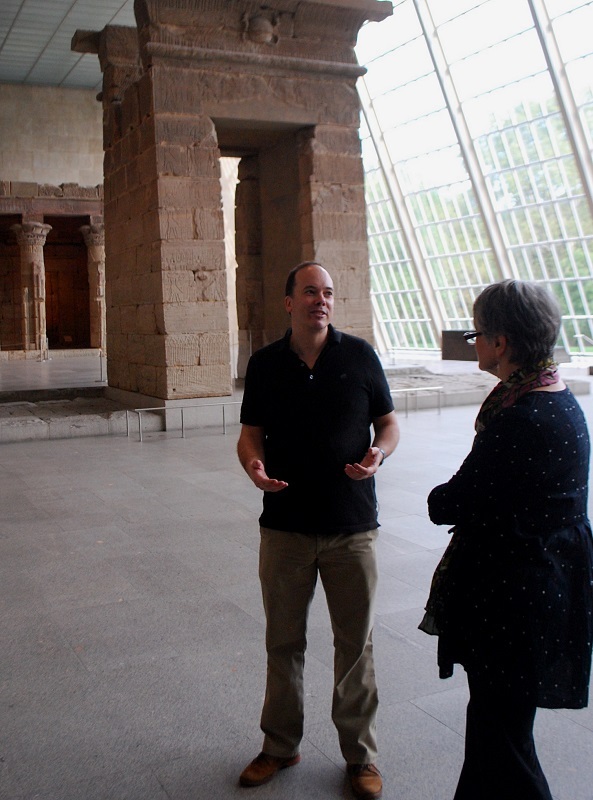 Here I am talking with my amazing insider guide in front of the Temple of Dendur! This whole thing has been an amazing experience—and it’s time for the final chapter! 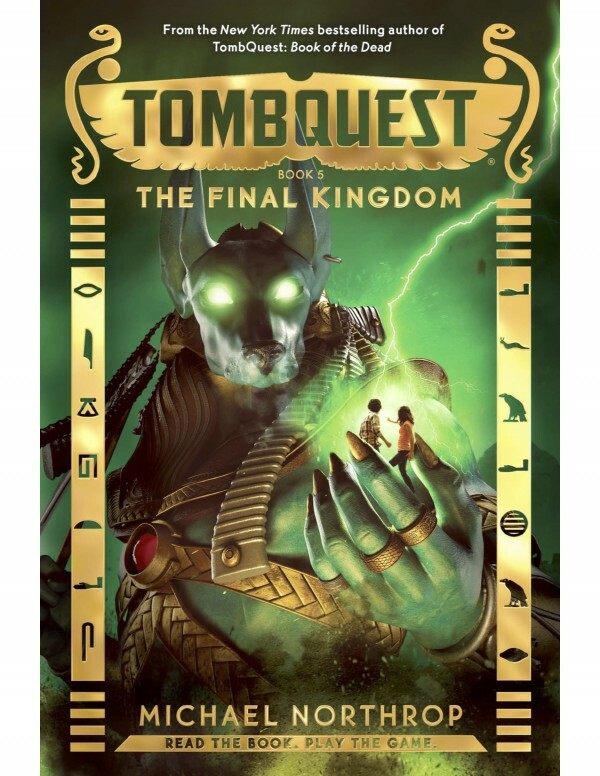 If you want to get Book 5 now, why not pop into your local independent bookstore and tell them you’re on a TombQuest? Or get it online at Amazon, Barnes & Noble, or Books-a-Million. The final book—and the Final Kingdom—is here. And like the mummy-maker said: It’s time to wrap this thing up! Hopefully there will be more soon, including a June event in NYC! Congratulations, you’ve accomplished so much! Let me know if you’re ever doing a book signing or promotion in my neck of the woods! Thanks, Maria! I’ll do that! screen in Safari. I’m not sure if this is a format issue or something to do with browser compatibility but I figured I’d post to llet you know. Thanks for the heads up, Terry!